Choose a message to be engraved here. 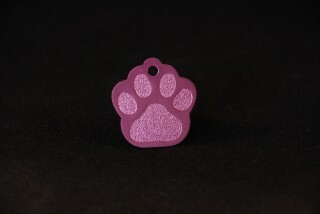 Our pet tags are engraved to the highest standards. 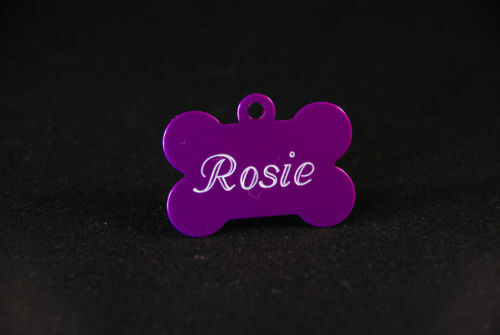 The are made from anodised aluminium- this is an extremely hard-wearing material and engraves beautifully with crisp white text. 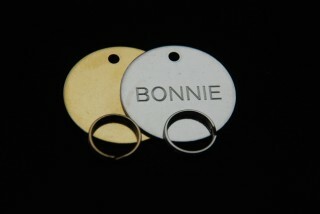 We use computerised engraving equipment for total accuracy and quality and the item can be engraved on both sides free of charge.